Margaret Page Stout was born in 1910. She married Philip Burleigh Ferguson, son of Oliver Graham Ferguson and Minnie Burleigh. 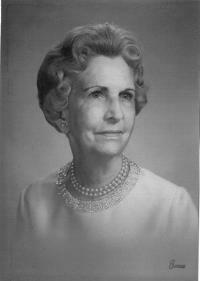 Margaret Page Stout died at Ft. Lauderdale, Broward, FL. She was buried at Ft. Lauderdale, Broward, FL. Mary Cray was born on 24 August 1906 at Uniontown, Fayette, PA. She married John Clare Sheedy, son of Patrick Francis Sheedy and Estelle (or Stella) Frances Brennan, on 10 May 1933 at Uniontown, Fayette, PA. Mary Cray died on 23 September 1989 at Pittsburgh, Allegheny, PA, at age 83. She was buried after 23 September 1989 at Calvary Cemetery, Pittsburgh, Allegheny, PA.
Donald Joseph Sheedy was born on 12 January 1902 at Pittsburgh, Allegheny, PA. He died on 22 December 1904 at age 2. Nancy Lee Diebold was born on 26 January 1918 at Pittsburgh, Allegheny, PA. She married Edward Francis Page, son of Frank T. Page and Elizabeth Louise Hogan. Nancy Lee Diebold died on 13 February 1998 at Pittsburgh, Allegheny, PA, at age 80. John Daniel Sheedy was born in August 1842 at Lecarrow North, Tulla, Clare, Ireland. He immigrated in 1861. He married Susan Ready, daughter of Peter Ready and Eliza ( ) Ready, on 2 October 1861 at Boston, Suffolk, MA. John Daniel Sheedy was naturalized on 10 October 1868 at Western District of Pennsylvania, PA. He married Catherine or Cathern Shea, daughter of Patrick Shea and Ann Considine, on 15 July 1869 at Allegheny, Allegheny, PA. John Daniel Sheedy was CENSUS 1870. He was CENSUS 1880. He was CENSUS 1900. He died on 7 June 1904 at Allegheny, Allegheny, PA, at age 61. He was buried on 9 June 1904 at St. Mary's Cemetery, Lawrenceville, Pittsburgh, Allegheny, PA.
Catherine or Cathern Shea was born in April 1845 at Ennis, Clare, Ireland. She married John Daniel Sheedy, son of John Sheedy and Catherine Haynes, on 15 July 1869 at Allegheny, Allegheny, PA. Catherine or Cathern Shea immigrated in 1870. She died on 18 January 1902 at Allegheny, Allegheny, PA, at age 56. She was buried on 21 January 1902 at Pittsburgh, Allegheny, PA.
William P. Brennan Jr. was born in May 1849 at Ireland. He immigrated in 1865. He married Anna or Annie Markey, daughter of Michael Markey and Bessie McCorville, on 4 December 1868 at Allegheny, Allegheny, PA. William P. Brennan Jr. was CENSUS 1880. He was CENSUS 1900. He died on 26 August 1924 at Pittsburgh, Allegheny, PA, at age 75. Anna or Annie Markey was born in February 1850 at Born at Sea. She married William P. Brennan Jr., son of William Brennan and Mary Poland, on 4 December 1868 at Allegheny, Allegheny, PA. Anna or Annie Markey died on 26 March 1929 at Pittsburgh, Allegheny, PA, at age 79. She was buried on 29 March 1929 at North Side Catholic Cemetery, Pittsburgh, Allegheny, PA.
Frank E. Keating was born on 5 February 1884 at Rochester, Strafford, NH. He died on 20 September 1928 at age 44. He was buried at Holy Trinity Cemetery, Somersworth, Strafford, NH. Mr. Swift married Margaret "Maggie" Keating, daughter of Patrick Keating and Ellen "Nellie" O'Brien. John Page was born in 1811 at Ireland. He married Mary Hickey. John Page was CENSUS 1850 - FREE in 1850. He died on 26 March 1887 at Pittsburgh, Allegheny, PA. He was buried on 28 March 1887 at St. Mary's Cemetery, Lawrenceville, Pittsburgh, Allegheny, PA.
Charles Grant Ambler was born on 5 January 1880 at Catskill, Greene, NY. He married Mary Rebecca Kemp, daughter of James Kemp and Carrie Wheeler, on 22 April 1908. Charles Grant Ambler died on 7 October 1941 at Manhattan, NY, at age 61. Mary Rebecca Kemp was born on 9 September 1877 at Troy, Rensselaer, NY. She married Charles Grant Ambler, son of Fanny ( ) Ambler, on 22 April 1908. Mary Rebecca Kemp died on 25 December 1941 at Bronx, NY, at age 64. James Kemp was born on 23 May 1853 at Troy, Rensselaer, NY. He married Carrie Wheeler, daughter of Francis Wheeler and Mary Jane Drake, on 13 October 1874 at Troy, Rensselaer, NY. James Kemp died on 8 January 1890 at Troy, Rensselaer, NY, at age 36. Carrie Wheeler was born on 9 April 1853 at Troy, Rensselaer, NY. She married James Kemp, son of William Kemp and Rebecca Cantrell, on 13 October 1874 at Troy, Rensselaer, NY. William Kemp was born on 14 January 1829 at Troy, Rensselaer, NY. He married Rebecca Cantrell, daughter of John Cantrell and Mary Cantrell, on 22 December 1850 at Troy, Rensselaer, NY. William Kemp was BOOK PUBLICATION. Rebecca Cantrell was born on 10 January 1832 at Nottingham, Nottinghamshire, England. She married William Kemp, son of James Kemp and Elizabeth Haggerty, on 22 December 1850 at Troy, Rensselaer, NY. Rebecca Cantrell died on 27 August 1872 at Troy, Rensselaer, NY, at age 40. Francis Wheeler married Mary Jane Drake. Mary Jane Drake married Francis Wheeler. James Kemp was born on 21 September 1791 at Fitchburgh, Worcester, MA. He married Elizabeth Haggerty, daughter of John Haggerty and Elizabeth ( ) Haggerty, in 1818 at Lansingburgh, Rensselaer, NY. James Kemp died on 30 August 1869 at age 77. Elizabeth Haggerty was born on 1 January 1800 at Lansingburgh, Rensselaer, NY. She married James Kemp, son of John Reed Kemp and Hannah Wheeler, in 1818 at Lansingburgh, Rensselaer, NY. Elizabeth Haggerty died on 5 December 1835 at Troy, Rensselaer, NY, at age 35. John Cantrell married Mary Cantrell. Mary Cantrell married John Cantrell. Newell Todd married Olivia Houlihan. Olivia Houlihan married Newell Todd. Edward Murray was born at Scotland. John Cunnane married Catherine Lavin, daughter of James Lavin and Anne Leonard, at Ireland. Albert Lanouette was born circa 1885 at St. Paul, Washington, MN. He married Effie Belle Mellen, daughter of Louis Mellen and Nellie de Courney, on 25 November 1908 at Dover, Strafford, NH. Effie Belle Mellen was born circa 1884 at Somersworth, Strafford, NH. She married Albert Lanouette, son of Victor Lanouette and Alphonsine Berube, on 25 November 1908 at Dover, Strafford, NH.